The Distributed Data Management products at Dassault Systèmes SOLIDWORKS were developed specifically to focus on the needs of anyone who needs to share information, both internally and externally with partners, suppliers and customers. With SOLIDWORKS PDM 2018, your references to other CAD software are recognized and are included during PDM operations (Check-in, Check-out, Where used, BOM…). So any file created by Autodesk®Inventor, CATIA® V5, PTC®/CREO, Siemens™ NX, SOLID Edge® are handled as SOLIDWORKS components through 3D Interconnect. However, this is not the only collaborative feature that comes with this release: SOLIDWORKS PDM 2018 now includes multiple design improvement approaches called Design Branching and Merging. 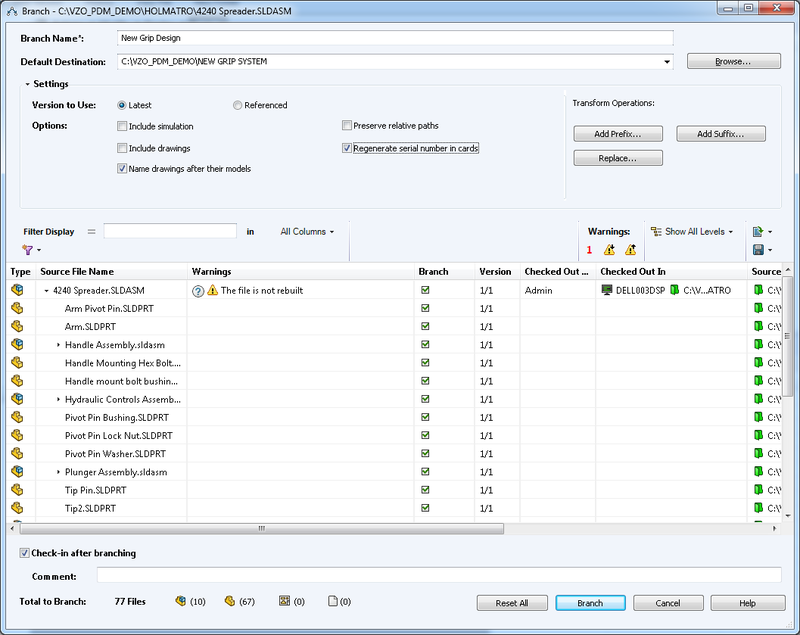 Branching an existing file structure is similar to Copy Tree, but SOLIDWORKS PDM Professional maintains the history of source files and branched files. You can create new versions of the source files from the modified versions of branched files, regardless of whether they have been moved or renamed. Placing the files into multiple folders lets you edit the branched files, retaining the source files in their original state and permission status. If the edits are approved, you can create new versions of the source files. Otherwise, you can delete the branched files. Furthermore, SOLIDWORKS PDM 2018 is yet again a release that pays attention to everybody including its administrator: Do you know what CTRL+Z is meant to be used for in most Windows®-based software? If not you’ll likely recognize its associated icon: . The SOLIDWORKS PDM datacard editor now includes the well-known undo command that allows you to take 1,2,3… steps back. This post was originally published By Jerome Marget on the SOLIDWORKS Blog and is being reposted here with permission from Dassault Systemes SolidWorks Corporation.